Todd Basset defines himself as a career learner. With over 25 years of leadership experience in human resources and business management, Todd has contributed his expertise to the financial services and investment industry and the public sector. Currently, Todd is the Human Resources Business Partner for Community Services & Protective Services at The City of Calgary and a part-time instructor of Human Resources Strategy at Mount Royal University (MRU). He has authored an HR Strategy course for MRU and serves on the HR Management Extension Certificate Program Advisory Committee. Todd holds a Masters in Business Administration from Dalhousie University, a certificate in Organization Development Fundamentals from Queens University, a Fellowship of the Institute of Canadian Bankers, Personal Financial Planner, the Canadian Securities course and a Private Pilot license. 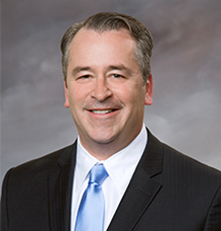 Todd earned his Chartered Professional in Human Resources (CPHR) designation in 2009. Previously, he volunteered with the CPHR Alberta Professional Mentoring Committee and continues to mentor HR practitioners individually and in groups.